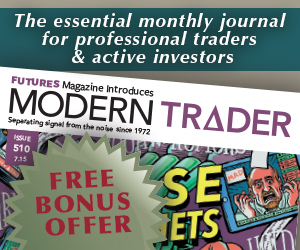 Each day, tens of thousands of traders receive news, analysis, opinion and advice from our free eNewsletters and FUTURES Magazine! HARD ASSETS eNewsletter – FREE! Occasional special updates with valuable research, whitepapers, new products or special offers from industry leaders, technology and service providers.